This apartment has been leased. 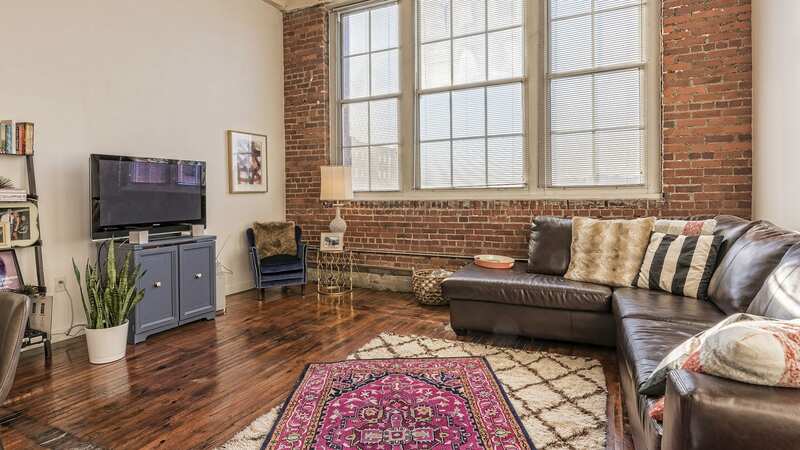 Amazing price on a two bedroom loft with a large balcony located in the heart of the Crossroads in Downtown KC. This apartment features a large private balcony, original hardwood floors, soaring ceilings and large warehouse windows offering breathtaking views of the City. Stuart Hall is a pet friendly building. All the apartments have washer and dryer hookups and Google Fiber. As one of the tallest structures at the southern edge of the Crossroads District, the Freight House Lofts at Stuart Hall stands as a testament to the rise of Kansas City economy after the turn of the century. The buildings original purpose was to serve as a production plant for the National Biscuit Company (Nabisco) in 1910. Chicago’s A.G. Zimmerman acted as the original architect and based the design on utilitarian and industrial concepts of the era, known as Commercial Style or Chicago School. The massive brick ovens still remain as a historic ode to this use. The Stuart Hall Stationery Company later acquired and operated the building until the 1980s. The Freight House Lofts at Stuart Hall is part of the historic Freight House District within the Crossroads. The historic Freight House District, is a converging commercial and passenger rail corridor that serves the beautiful Kansas City Union Station. Today, the Freight House District is home to upscale, local foodie spots such as Lidia’s Italian Restaurant, Jack Stack Barbecue and Grünauer, which serves german fare. Moreover, several other bars and restaurants are within walking distance and the area experiences First Fridays, where every first Friday of the month features food trucks, performance art, exhibits and live theater productions on public streets and sidewalks. The Freight House Lofts at Stuart Hall has all the unique combination of historical uses and modern-day amenities in addition to exciting nightlife and events. When you live here there’s never a dull moment! Loft Studio Now Available at Board of Trade! 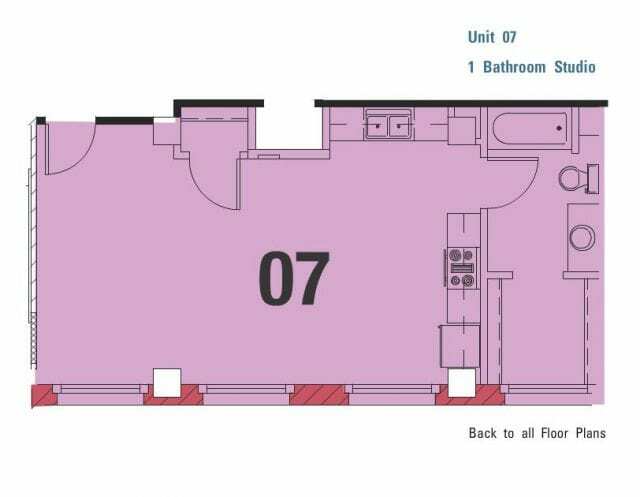 This studio is only $820/month and won’t last long. The Board of Trade building consists of fourteen floors that have been meticulously restored to their original elegance of decorative terrazzo floors, polished Missouri limestone walls and magnificent facades depicting the various commodities once brokered on the fourteenth floor trading hall – now home to some of the City’s most distinctive penthouses. Board of Trade Lofts offers a range of studios, one and two bedroom apartments with prices starting at $750 for studios, $850 for 1 beds and $1,100 for two beds. Upscale amenities include a fitness studio comprised of modern equipment, Jacuzzi, spa, tanning bed and an indoor swimming pool. Residents will enjoy our large Club Room complete with WiFi and an indoor putting green. Security is comprehensive through courtesy patrol, a keyless entry system, digital telephone access for guests and attached garage parking. On-site management, maintenance and dry cleaning pickup and delivery are merely a few of the countless other amenities also included. Several neighborhood amenities such as restaurants, bars and coffee shops are mere minutes away via walking while popular destinations such as the Power & Light District and venues such as the Midland Theater, the Sprint Center and the Municipal Auditorium are located a few blocks south of Board of Trade Lofts. The River Market district, another immensely popular destination to the north, features both locally-grown fruits and vegetables and more exotic fares such as ethiopian, vietnamese and brazilian cuisines. Highway access to other areas of Metropolitan Kansas City is swift using the Broadway Bridge to major thoroughfares such as I-70 and I-35. Additionally, the north and southbound Streetcar stations can be found on Main Street just one block east. The beautiful Kansas City Library is located one block to the east and its famous “Community Bookshelf” mural adorning the Library’s parking garage sits across from the Lofts. This pet-friendly urban oasis is perfect for those wanting more as the Board of Trade Lofts features the best of loft living at an affordable price!